The adage that "knowledge is power" has few places where it is as directly demonstrable and true as it is in cybersecurity. In a recent survey it was found that 70% of US employees lack baseline security and privacy awareness skills and knowledge. People often think of IT security as being chiefly done through network or computer appliances such as firewalls or anti-malware software. While firewalls and other physical controls are an important component of security they can't protect against many forms of social engineering. 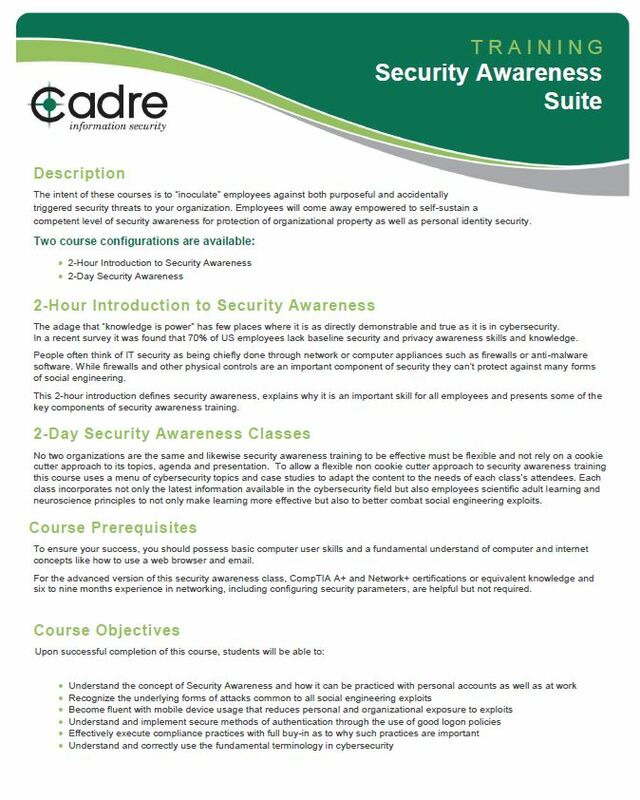 This 2-hour introduction defines security awareness, explains why it is an important skill for all employees and presents some of the key components of security awareness training.